Bremen - is in mourning after the captain of the club’s first-ever Bundesliga winning team and legend of the Nordderby, Arnold 'Pico' Schütz, has died at the age of 80. "We are mourning a Bremen great. His performances for this club will forever remain special," said the northern club’s president on Tuesday. "As a player, and then as an assistant coach in the youth training centre, he was always an absolute paradigm of sportsmanship and fair play. 'Pico' Schütz is a Werder legend." Schütz certainly has a place in the heart of every fan, having played an unsurpassed 826 games for the club. The striker, who featured in midfield later in his career, represented Bremen in the Oberliga from 1955, and was 28 when the Bundesliga was founded in 1963. Indeed, it was during his time in Germany's top flight that cemented his legendary status. 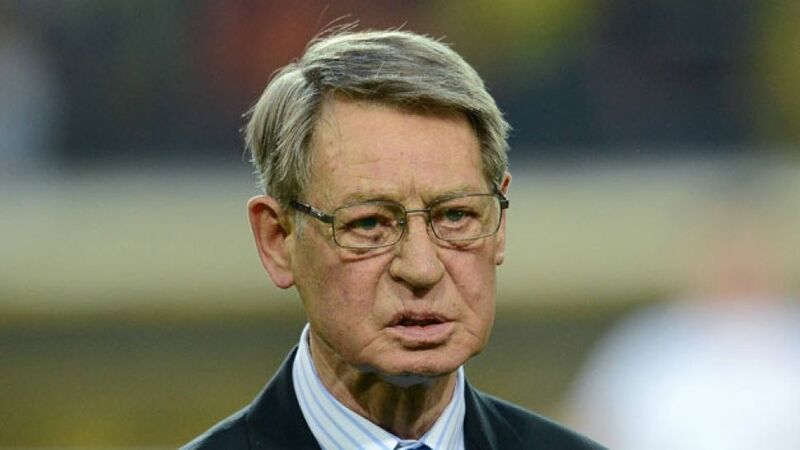 Until his retirement in 1972 at the age of 37, Schütz was always considered one of the league’s finest players and lifted Bremen’s maiden Bundesliga title as captain in 1965, as well as the DFB Cup in 1961. In his 253 appearances in the top tier, he scored 69 goals, but it was his influence on the Nordderby, the age-old rivalry between Bremen and northern German rivals Hamburger SV which takes place for the 102nd time on Sunday, that will live longest in the memory. When the clubs first met in the Bundesliga on 12 December 1963, Schütz scored three times as his Bremen side romped to a 4-2 victory. Last November, along with his team-mates from the title-winning side of 1965, Schütz was made an honorary member of the club, as Werder began the run-up to the celebrations for the 50th anniversary of the club’s first title. "When we are celebrating this anniversary over the coming weeks, we will have to find out painfully how much we miss 'Pico' Schütz," added Dr Hess-Grunewald. In addition to his outstanding sporting achievements, Schütz’s love for his city - he grew up and learned to play football in the Walle neighbourhood of Bremen - undoubtedly contributed to his immense popularity. Werder will honour him prior to Sunday’s Nordderby at the Weser Stadion with a minute’s silence and the players will wear black armbands.